This Cardinals World Series ring is actually one of the most fascinating pieces that Capetown Capital Lenders has ever loaned against. This is a World Series ring from when the Cardinals won the World Series in 2011. Sport memorabilia is a completely different animal than traditional jewelry, in regards to lending. Capetown Capital Lenders has many experts on these type of loan items. What’s the Value of a Cardinals World Series Ring? The value of these World Series rings can vastly vary, and can go one way or another based on several key factors. The first factor that affects the ring’s value is the prominence of the team. 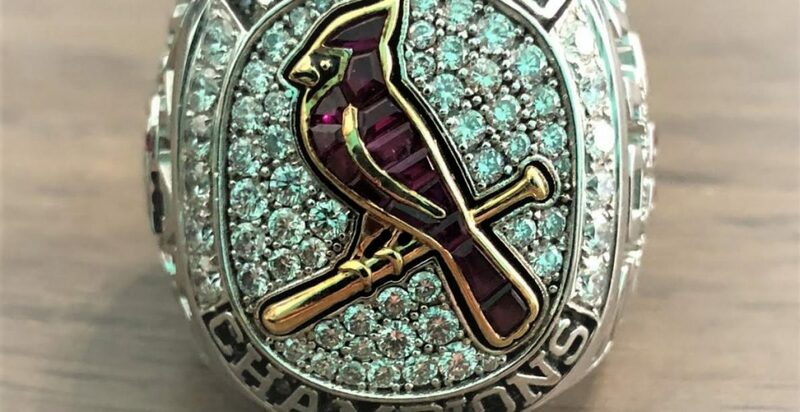 Is the ring from the Cardinals, the Yankees or a lower profile team? Depending on what team it’s from, the value can really change. The second key factor is who’s ring it is. Is it a popular player from the team? If the ring is from a star player, then it will be worth significantly more than if it was from the support staff, like a coach. The last factor is the finger size of the ring. A lot of people who purchase these type of rings actually want to wear them. Therefore, if the finger size is too small or too big to fit most men, then the ring may be devalued in price. Overall, the value of these rings can go from $3,000 to $4,000, all the way up to $50,000 just depending on the aforementioned factors that affect the value. Why Choose Capetown Capital Lenders? Again, Capetown Capital Lenders has a high level of expertise in this area and is able to give you the right amount of value for these type of items. If you have any of this type of sports memorabilia jewelry or any World Series Rings you’d like to sell or get a loan against, contact Capetown Capital Lenders today to get started!